Amazon has kept mum about their Lord of the Rings TV series. All we really know is that it's going to cost a lot of money, more than $1B dollars, and that Peter Jackson may or may not get involved. With that much loot being poured in, it makes sense that Amazon would want to tailor the show to attract the same audience that loved Jackson's movies. A report from TheOneRing.net, the most trusted source on Tolkien news, says the series will center on a younger version of Aragorn, who was played by Viggo Mortensen in Jackson's movies. This could be disappointing news for those hoping a completely new narrative with never-before-seen characters. 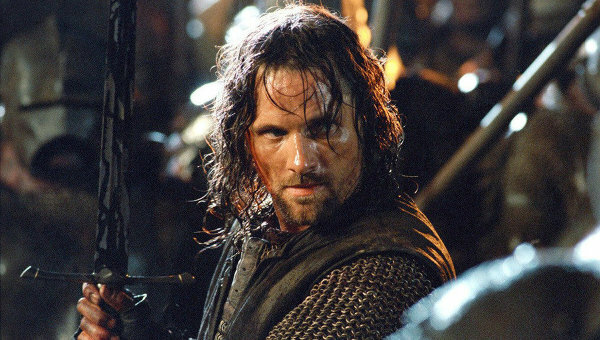 But think about it, who else to center a show like this around than the noble Aragorn, who grew up unaware of his royal lineage and destiny to be the king of Isildur and the thrones of Arnor and Gondor. Plus, he's a familiar character that could draw in fans of Jackson's original trilogy, which remains very popular. The phrasing also suggests a second season could focus on a different character, although I'm not exactly sure that's what TheOneRing was trying to imply. It's just me taking a guess at what Amazon might do.